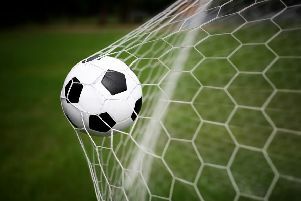 Hastings United Football Club is 90 minutes away from an attractive local derby in the quarter-finals of the county’s premier knockout competition. This evening’s (Saturday’s) draw for the last eight of the Parafix Sussex Senior Challenge Cup handed the winners of the third round tie between Hastings and Crawley Town a trip to Eastbourne Borough. Bostik League Division One South side Hastings will host Crawley on Monday night (kick-off 7.45pm) after the game was postponed because of snow and ice on The Pilot Field pitch last Tuesday. If Hastings spring a surprise and beat Crawley, they will take on an Eastbourne side which plays two levels above them in National League South. The draw was broadcast on BBC Sussex and Twitter. Fixtures are to be played on or before Wednesday January 17. Full draw: Pagham v Horsham; Burgess Hill Town v Saltdean United; Whitehawk v Brighton & Hove Albion or Haywards Heath Town; Eastbourne Borough v Crawley Town or Hastings United. As previously reported, Hastings’ scheduled league game away to South Park this afternoon was postponed due to a frozen pitch. All of the other 11 matches in the division went ahead.